Canola oil can help restaurants comply with the restrictions on artificial trans fat. Artificial trans fat comes from partially hydrogenated vegetable oils, which account for the vast majority of trans fat in the American diet. Consumption of this fat increases one's risk of heart disease as it increases bad cholesterol in the blood. Canola oil, which is free of trans fat and cholesterol and the lowest in saturated fat of any common edible oil, is a natural replacement for partially hydrogenated oils in spreads and certain food applications. 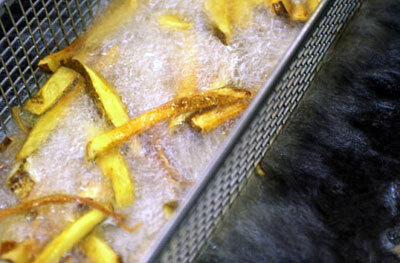 High-stability canola oil is well suited to the food service industry as it also offers extended fry life ideal for high-heat uses like deep-frying and baking.